I created a wall photo using the latest slogan of the Department of Tourism “It’s more fun in the Philippines” to promote Tokneneng as one of the popular street food sold in the Philippines. 🙂 I created my version by uploading an original background photo at morefunmaker.com. You can search my entry here. 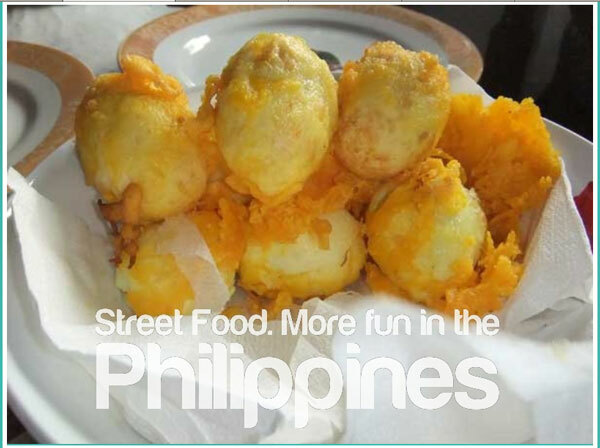 Tokneneng is usually peddled by ambulant vendors along with other variety of street food such as kwek-kwek (smaller version of tokneneng), fishballs, and squidballs. You can create your own by visiting the site I mentioned above. Have fun! This entry was posted in Food business, Snacks and tagged its more fun in the philippines, more fun in the philippines, street food, tokneneng on January 10, 2012 by Yami. I like barbecued pork/chicken, corn, and boiled peanuts the best! lol … NOT so much fish balls.